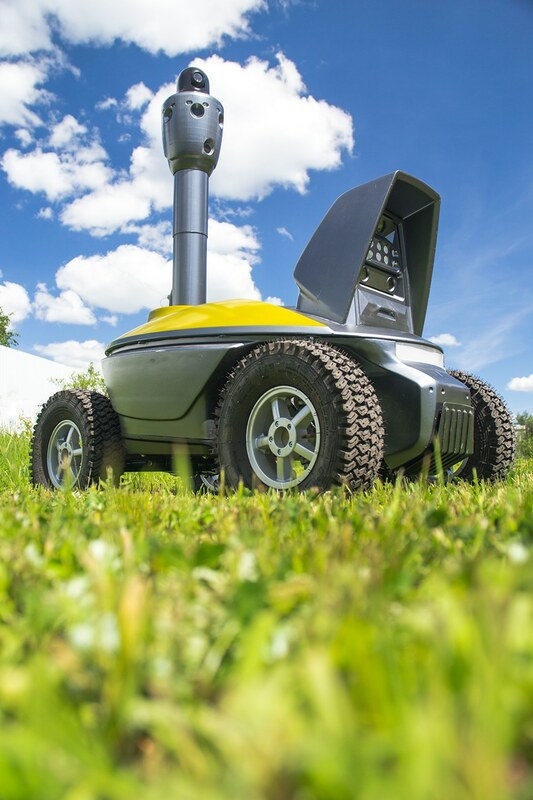 SMP Robotics specializes in the development and serial production of several types of Autonomous Unmanned Ground Vehicles (UGVs), all of which are used as the basis for special-purpose mobile robots. 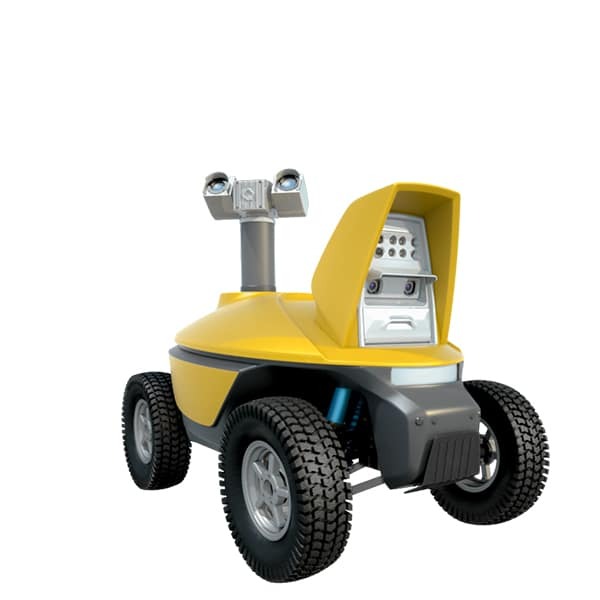 A mobile robot consists of two components: the UGV and the special-purpose equipment it carries. 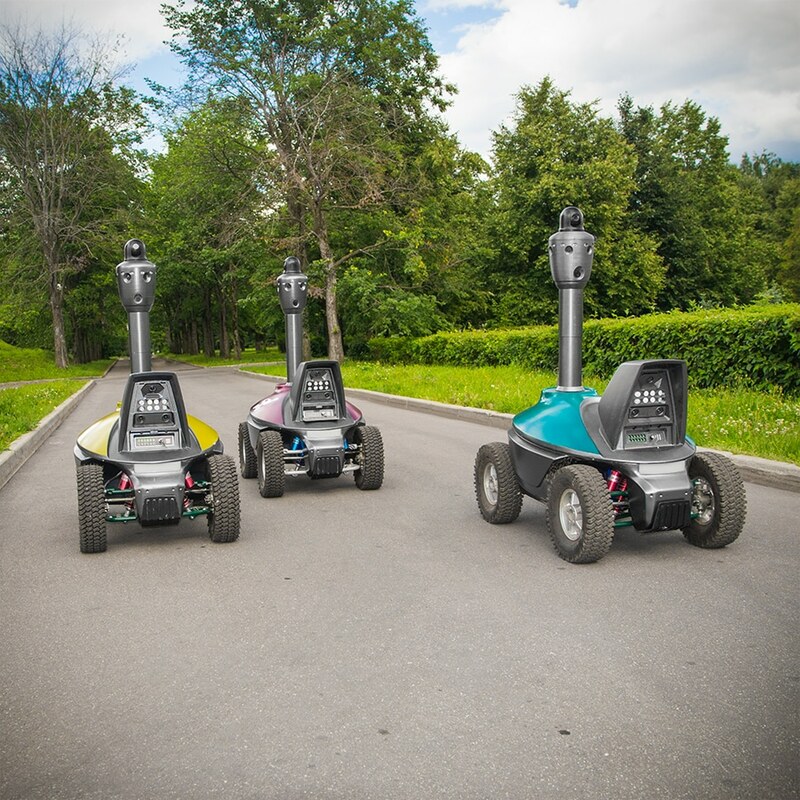 UGVs of all series are equipped with an autonomous guidance system that allows the mobile robot to store its cruise route and move automatically without an operator. 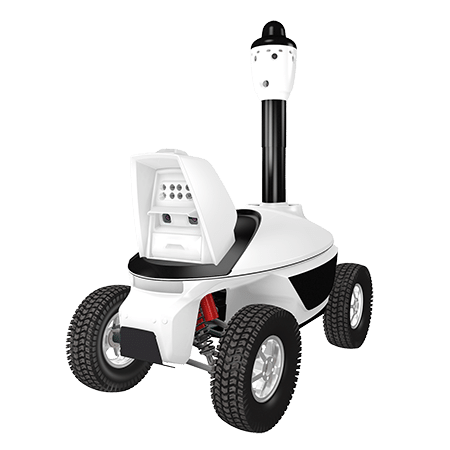 The automatic guidance system operation is based on input from the video cameras, allowing the UGV to accurately follow programmable routes while detecting and avoid obstacles. 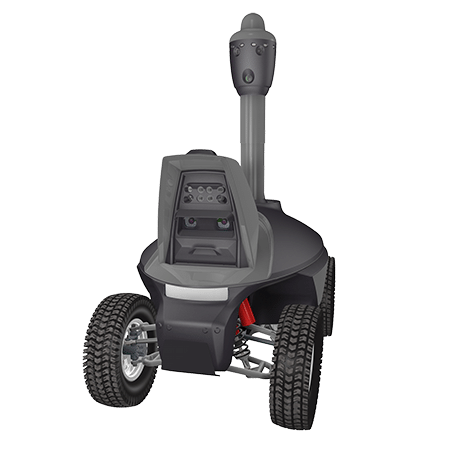 All UGVs produced by SMP Robotics have an electronic motor that drives and is powered by built-in accumulator batteries. 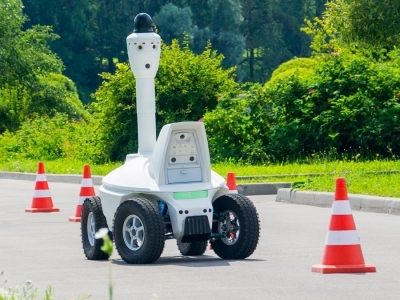 When low on power, the UGV automatically returns to its maintenance area. 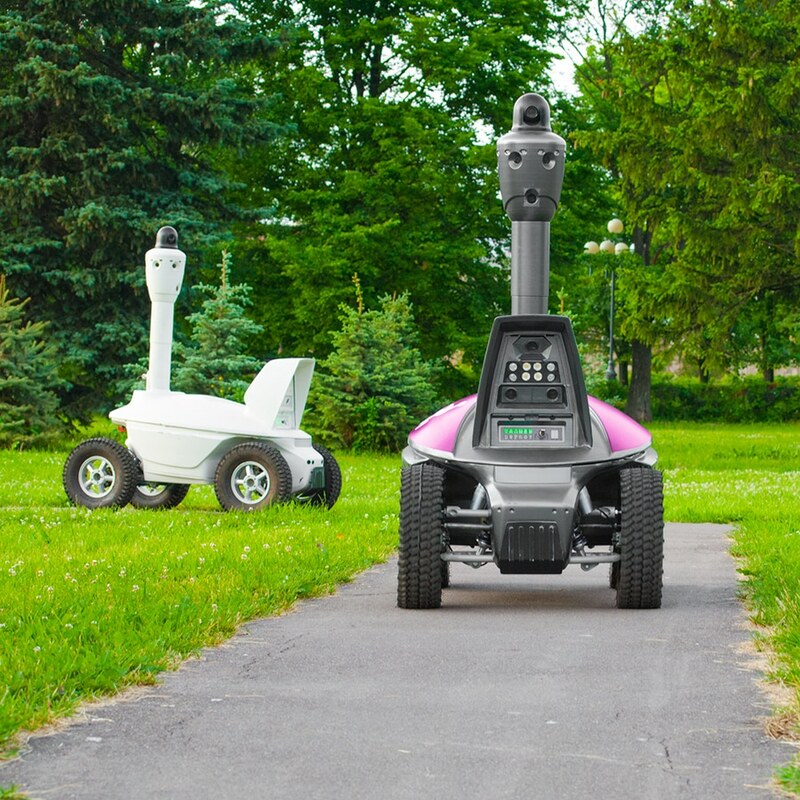 UGVs of different series vary in their mechanical powertrains, which are perfectly suited for different types of roads that our mobile robots may operate on. 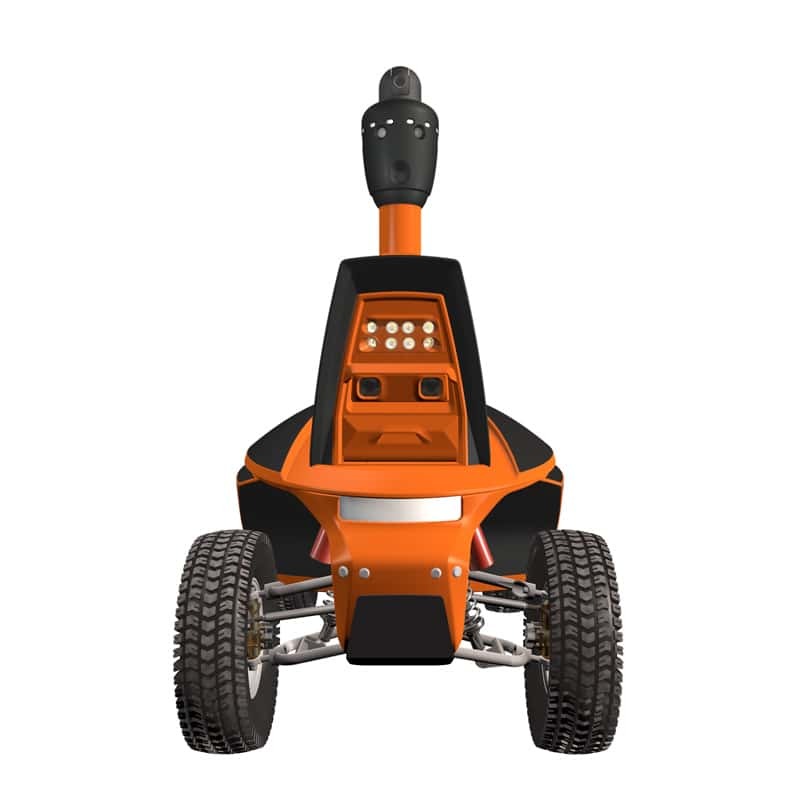 This UGV series is designed for roads with good traction characteristics. 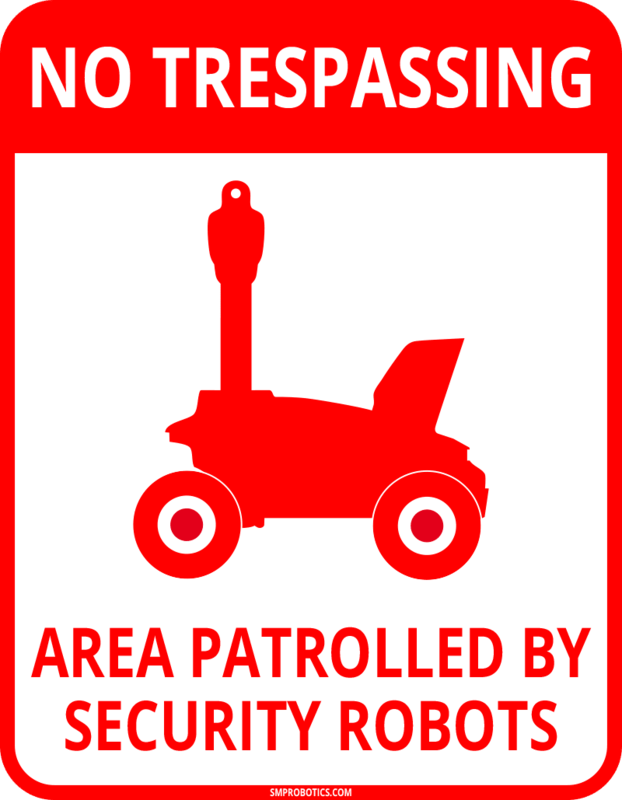 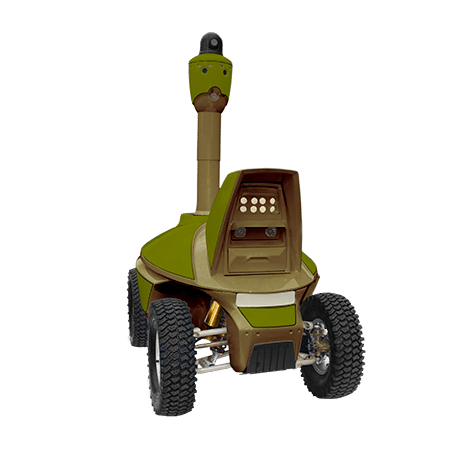 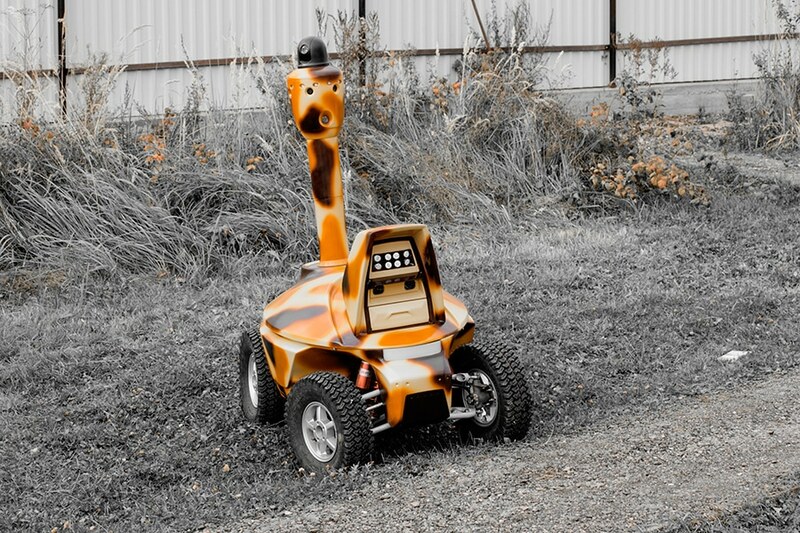 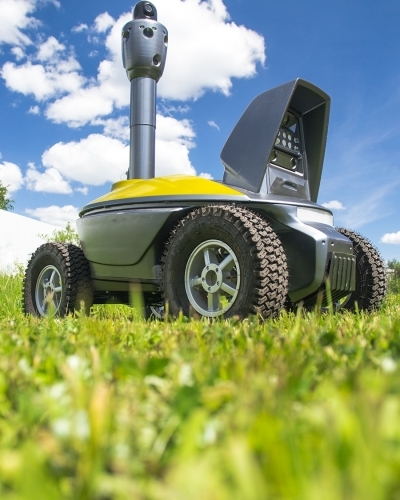 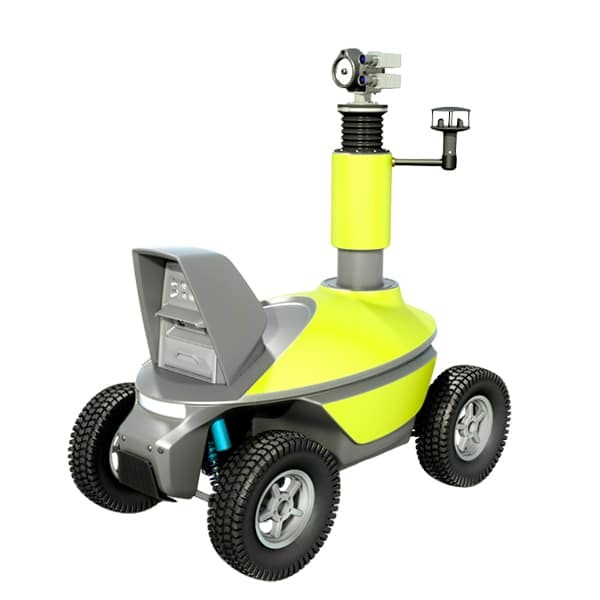 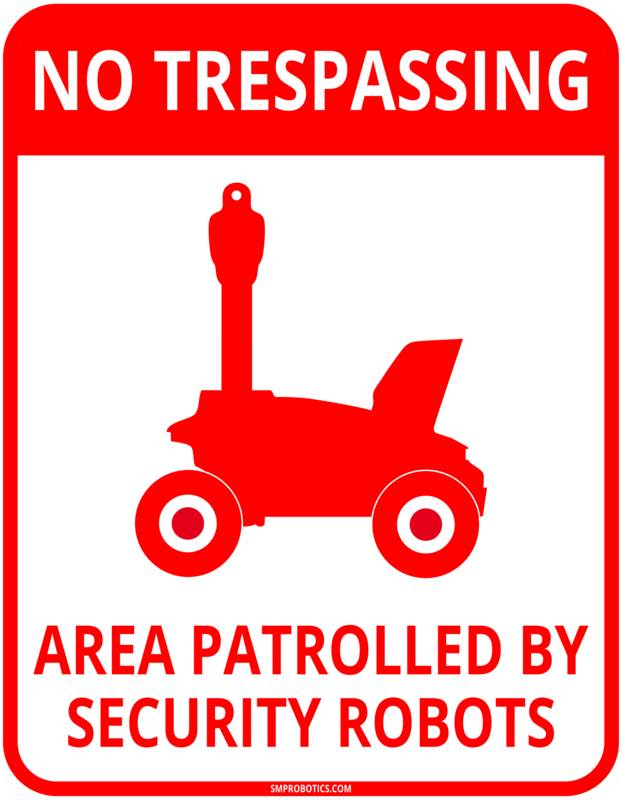 These UGVs are ideal for landscaped area patrols and inspection of industrial facilities. 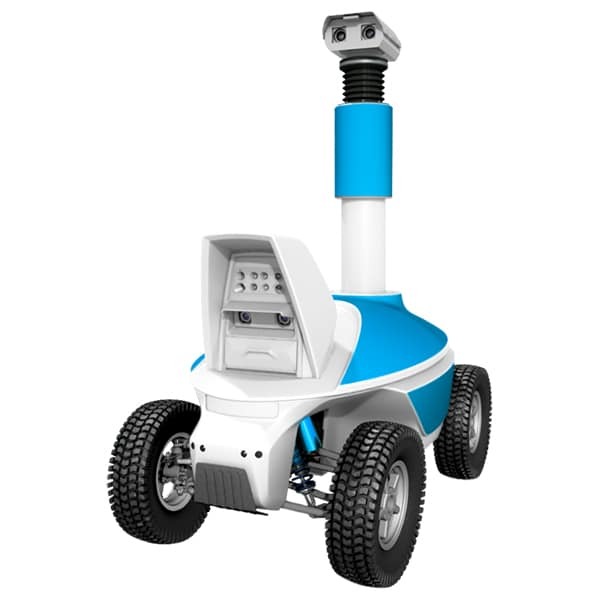 The guidance system uses visual navigation and is effective for pathfinding in environments densely filled with artificial structures and hard-surface paths. 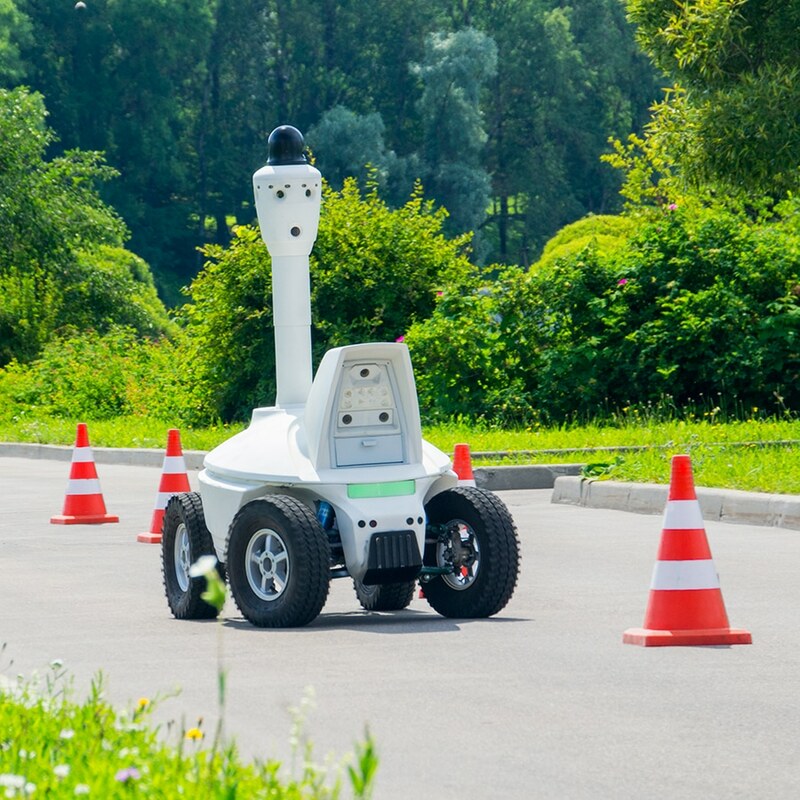 This Autonomous Unmanned Ground Vehicle can accurately complete routes of up to several kilometers long in areas with no GPS coverage. 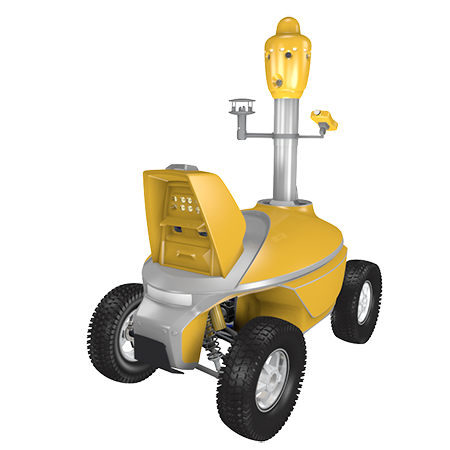 In case of insufficient lighting from street lamps at night, the UGV uses night markers located along the dark part of its cruise route. 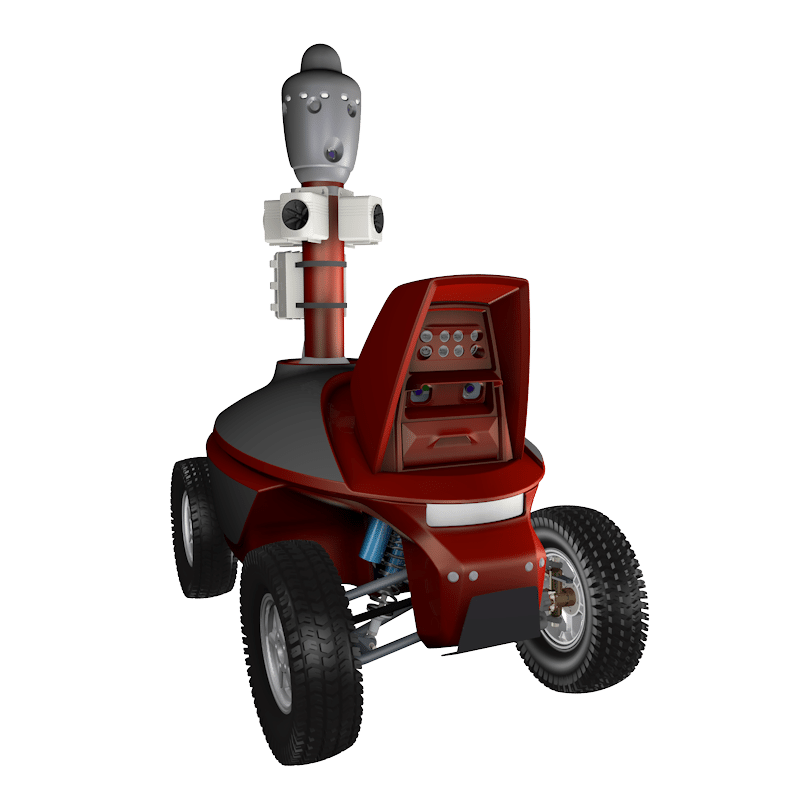 A stereo camera is used for detecting obstacles and finding the optimal way. 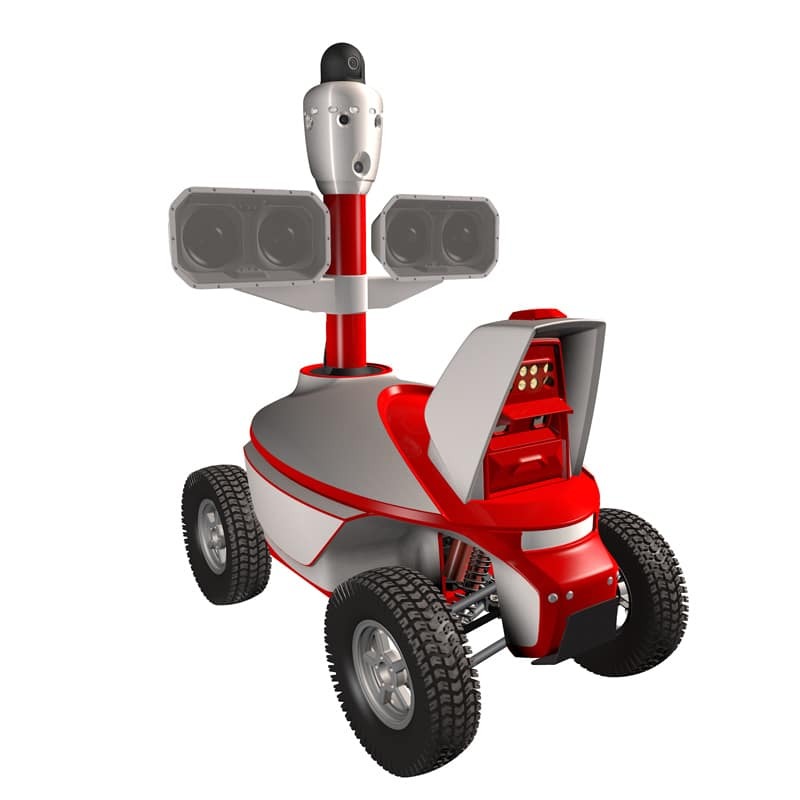 For the stereo camera to work correctly at night, the robot is equipped with a low beam headlamp, which switches on automatically at dusk. 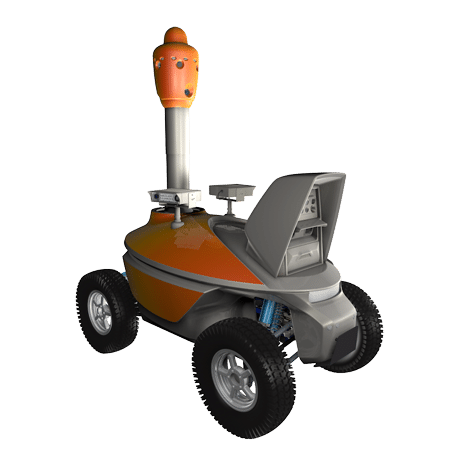 The UGV S-series powertrain has two built-in accumulator batteries to power its autonomous movement systems. 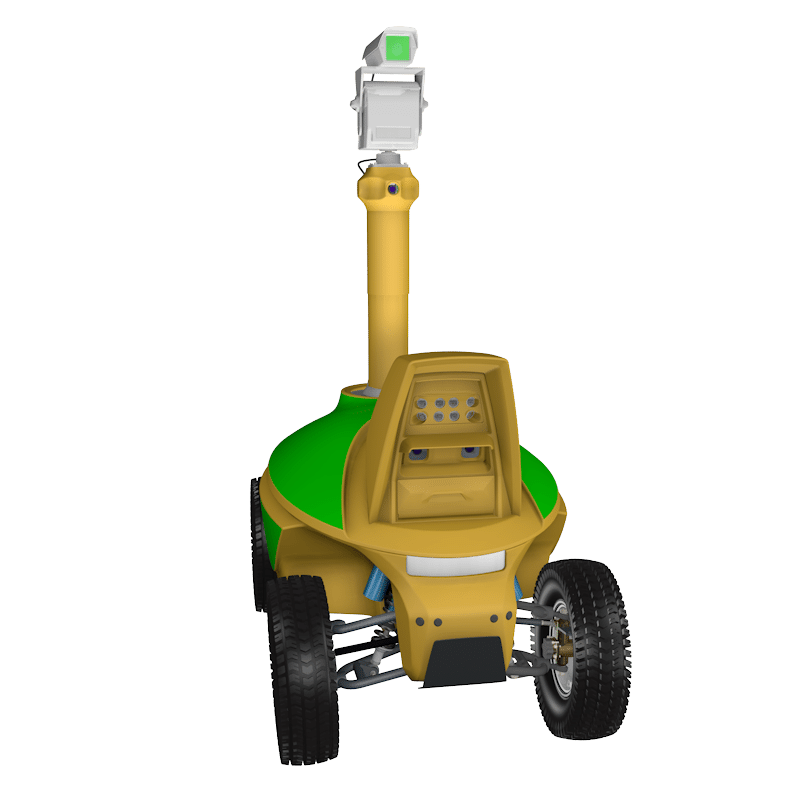 A third battery can be optionally installed for powering carried equipment. 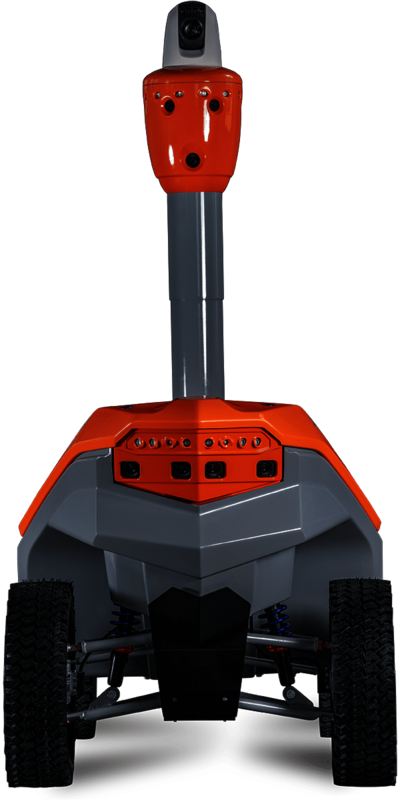 Standard size batteries are used, so you can choose those produced by a manufacturer that best suits your needs. 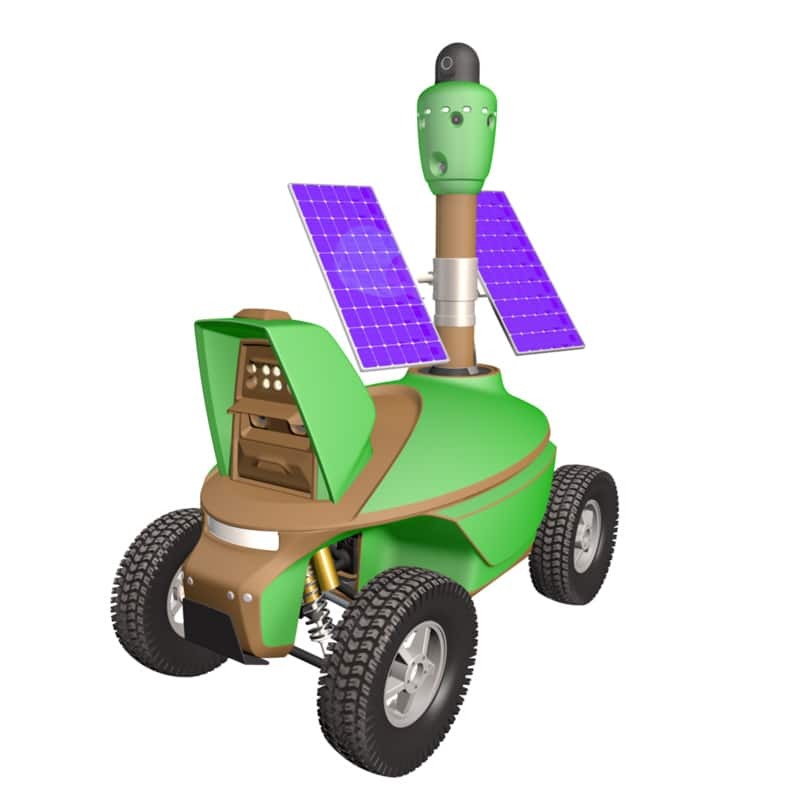 This wheeled robot is propelled by an electric rear transaxle with a differential that drives power efficiently while in motion. 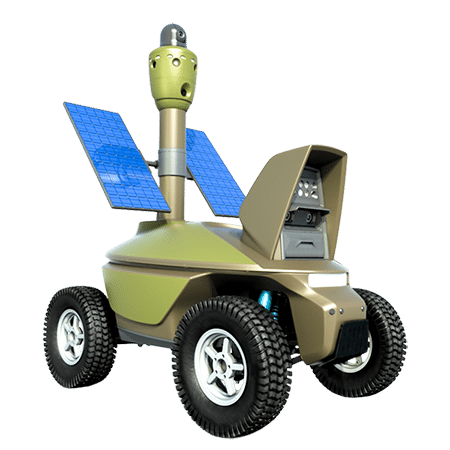 The front wheels are free-rolling and equipped with sensors for picking up data along the UGV’s route and for path-motion calculations. 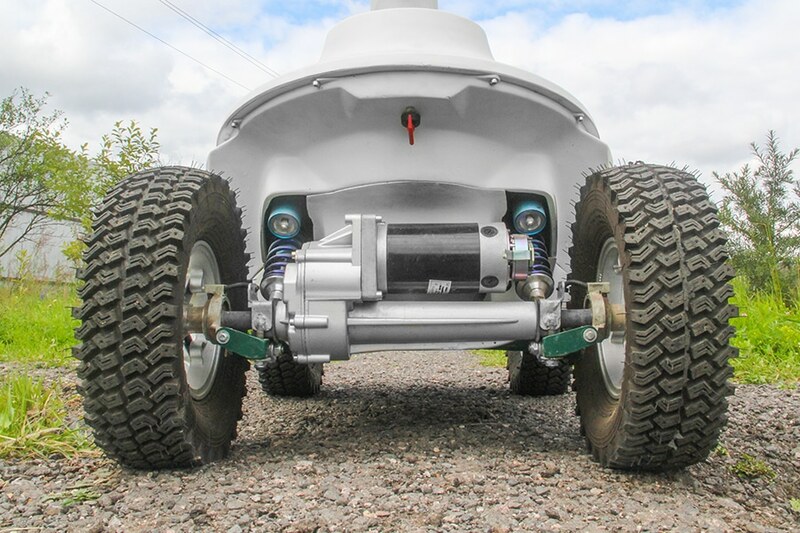 Rear transaxle control is the best solution to ensure a good grip when moving along roads. 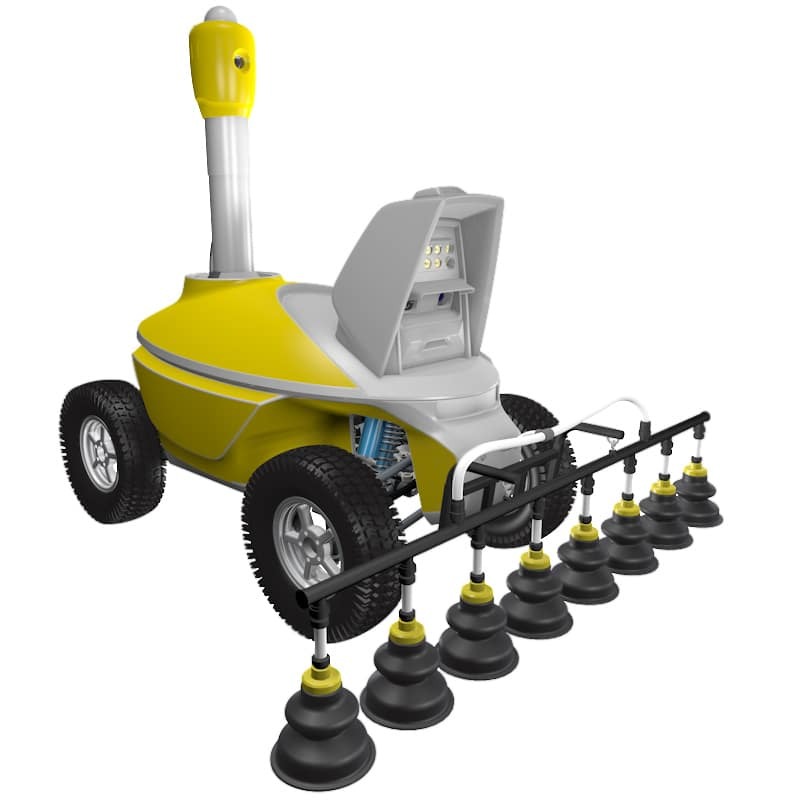 The passage route should be laid so as to help the mobile robot avoid dirty areas in the rain, as hydroplaning could result. 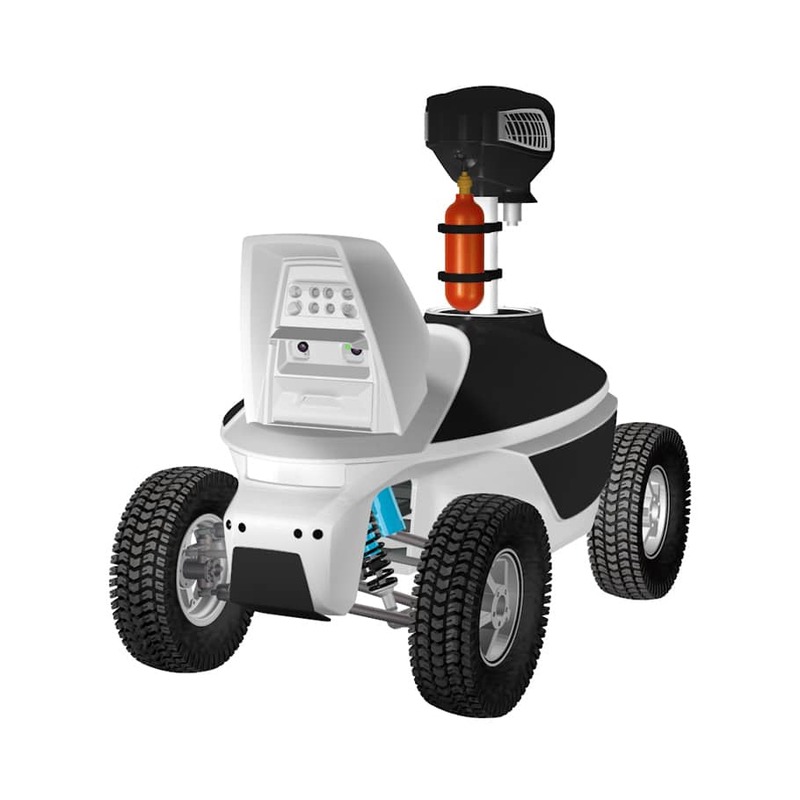 The UGV S-series can operate in hot climates. 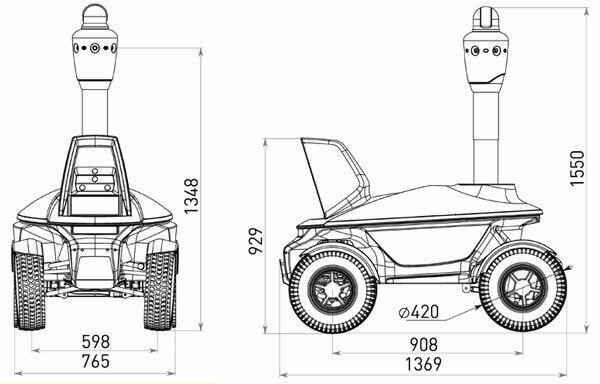 Special attention has been paid to the UGV’s cooling system, ensuring its operational capability at high temperatures.